If you ever board your cat in a cattery, then it's particularly important to ensure vaccine protection against possible disease risks. 'Cat flu' is one of the biggest risks in a cattery and recent research shows that a bacterium called Bordetella bronchiseptica is responsible for some of these outbreaks. This is a highly contagious disease of the cat's respiratory tract and occurs where cats are in close contact with each other. Bordetella bronchiseptica (Bb) is a bacterium closely related to Bordetella pertussis, the cause of whooping cough in man. It may cause problems either in conjunction with infection due to the cat 'flu viruses (feline herpesvirus or feline calicivirus) or may cause disease entirely in its own right. It can therefore be termed as a 'primary pathogen' in feline upper respiratory tract disease (FURTD). Is my cat at risk of Bordetella Bronchiseptica? Some may recognise that the Bordetella bacterium is more commonly associated with dogs and is one of the main causes of kennel cough. But, cats in homes with more than three cats, or in boarding and breeding catteries or rescue shelters are particularly at risk of disease fromthis highly infectious organism. It has also been shown that this disease will spread from dogs to cats and vice versa as well. 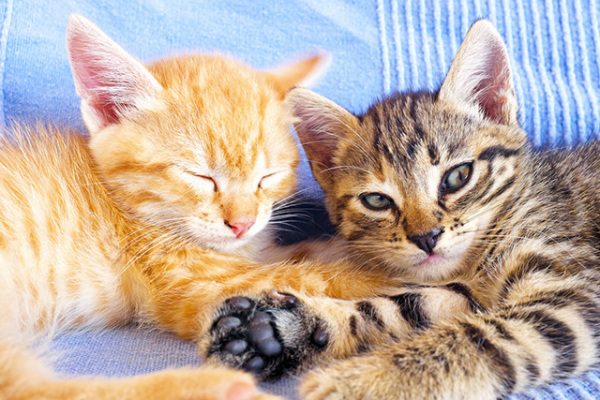 Bordetella infections can be extremely serious in young kittens, leading to severe breathing difficulties and rapid death. Reports of the loss of whole litters of kittens to this infection are not uncommon. 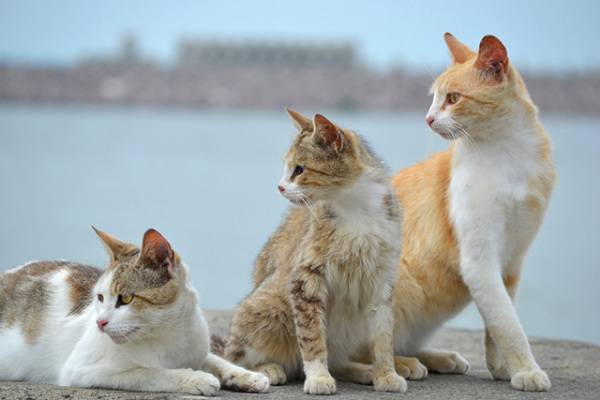 How is Bordetella Bronchiseptia spread in cats? The bacterium is transmitted by saliva and respiratory secretions through direct contact with an infected cat, eg grooming one another, or a contaminated environment, eg sharing food or water bowls as the bacteria can survive in or by aerosol infection through sneezing or coughing In addition, during the stress of mothering, an infected queen can often shed the Bb bacteria, also putting her kittens at risk. What are the signs and symptoms of Bordetella Bronchiseptia? Signs include sneezing, snuffling, discharge from the nostrils, swollen glands, depression and fever. 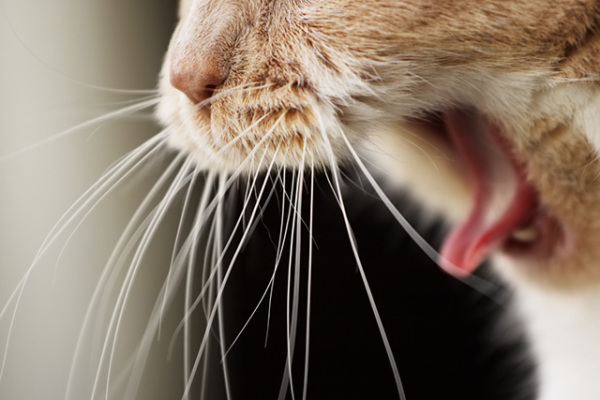 Coughing can also occur in some cats, but it is not as common as with the same infection in dogs. In the very young and weakened, the disease can prove to be very serious indeed and prove rapidly fatal. There is now an improved vaccination regime available which offers broader spectrum prevention of cat 'flu and it is recommended you consider these options if you have a few cats or you are to board your cat in a cattery. The vaccine offers immunity against Bordetella bronchiseptica for a full 12 months. This means that even if you leave your cat in the cattery more than once during the year, it only requires a single vaccination. It's literally just a few drops of vaccine gently trickled into one nostril and your cat is protected in as little as 72 hours! Ideally your cat should be vaccinated at least two weeks before arrival at the cattery. What is the treatment for Bordetella bronchiseptica? If you have more than one cat in the house then the infected cat should be isolated from the others and should be kept indoors at all times. Don't forget this bacteria is highly contagious and can spread rapidly. Bordetella bronchiseptica is known to infect humans too, especially those with an immune system which is not functioning properly so always ensure that you wear disposable gloves when handling your cat and their belongings and wash your hands immediately after removing the gloves to prevent contamination. Remove any discharge from around your cat's eyes and nose using a warm pad of cotton wool. Tempt your cat to eat with slightly warmed 'wet' food to increase palatability. Food bowls, bedding and litter trays should be washed and cleaned daily. Antibiotics may be required in cases where the symptoms are more severe.